Ed Stafford gained fame across the globe for being the first person to walk the length of the Amazon River, an epic adventure that took him two and a half years and six pairs of boots. Now he draws on his own experience when he gives motivational talks. Ed Stafford walked his way to a Guinness World Record and into the history books when he became the first person to walk the length of the Amazon River, a trip of over 8000 kilometres undertaken in two and a half years. Ed is passionate about encouraging others, and by giving talks about his adventure, he hopes to inspire adults and kids alike to expand their horizons and believe that nothing is impossible. In his talks, Ed is honest about the challenges he faced on his adventure: snakes, severe floods, jaguars, and the hostility of local tribes suddenly confronted with a tall foreigner in their midst. His story is a powerful one of seemingly impossible odds, resilience, risk, teamwork, respect for other cultures and the natural environment, as well as motivation and staying positive in the face of adversity. With his self-deprecating humour, Ed delivers his message about success in the face of adversity, determination to achieve goals and riding out tough times in a highly entertaining way. 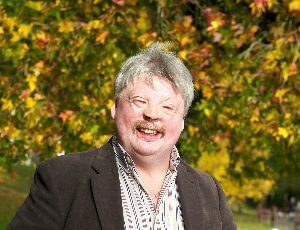 His inspirational story of true grit, bravery and the determination to succeed has captured audiences and led to him being described as ‘Britain’s most intrepid hero since Scott of the Antarctic’ by The Daily Mail and simply as ‘A true hero’ by The Times. He has also been awarded the European Adventurer of the Year 2012, the aforementioned Guinness World Record, and an award for outstanding bravery from Sir Ranulph Fiennes and the Transglobe Expedition Trust. 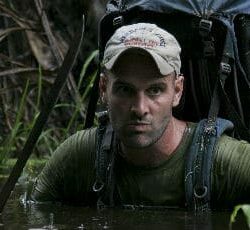 Ed continues to challenge himself: after his epic Amazon walk, he filmed himself surviving on an uninhabited island for sixty days, a project which tested him in many often unexpected ways, and the resulting documentary, Naked and Marooned with Ed Stafford, was shown on Discovery Channel in 2013. 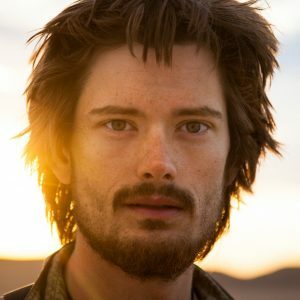 In 2014 and 2015, Discovery Channel showed Ed’s subsequent survival series Marooned in which he filmed himself trying to survive in remote and extreme environments. In 2015, Ed’s new series ‘Into the Unknown’ aired on Discovery and there are more exciting TV projects planned!